Lineage. 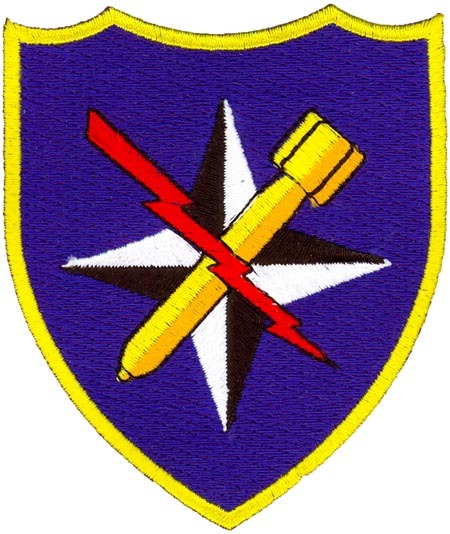 Established as 340 Bombardment Group (Medium) on 10 Aug 1942. Activated on 20 Aug 1942. Redesignated as 340 Bombardment Group, Medium on 20 Aug 1943. Inactivated on 7 Nov 1945. Redesignated as 340 Bombardment Group, Light on 8 Oct 1947. Activated in the Reserve on 31 Oct 1947. Inactivated on 19 Aug 1949. Redesignated as 340 Bombardment Group, Medium, and activated, on 22 May 1968. Organized on 2 Jul 1968. Inactivated on 31 Dec 1971. Redesignated as 340 Air Refueling Group, Heavy on 14 Jun 1977. Activated on 1 Jul 1977. Consolidated (31 Mar 1982) with the 340 Bombardment Wing, Medium, which was established on 3 Oct 1952. Activated on 20 Oct 1952. Redesignated as 340 Bombardment Wing, Heavy on 1 Sep 1963. Discontinued, and inactivated, on 2 Oct 1966. Redesignated as: 340 Air Refueling Wing, Heavy on 1 Oct 1984; 340 Air Refueling Wing on 1 Sep 1991. Inactivated on 1 Oct 1992. Redesignated as 340 Flying Training Group, and activated in the Reserve, on 1 Apr 1998. Assignments. Third Air Force, 20 Aug 1942-unkn; Ninth Air Force, 5 Apr 1943; Twelfth Air Force, 22 Aug 1943; XII Air Support Command, 1 Sep 1943; 57 Bombardment Wing, 1 Nov 1943; XII Bomber Command, 2 Jan 1944; 57 Bombardment Wing, 1 Mar 1944; Army Air Forces, Mediterranean Theater of Operations, 26 Jul 1945; First Air Force, 7 Aug-7 Nov 1945; 310 Bombardment Wing, Light (later, 310 Air Division, Bombardment), 31 Oct 1947-19 Aug 1949. Second Air Force, 20 Oct 1952; Eighth Air Force, 1 Jul 1955; Second Air Force, 1 Jan 1959; 17 Air (later, 17 Strategic Aerospace) Division, 15 Jul 1959; 4 Air Division, 1 Sep 1963; 19 Air Division, 1 Sep 1964-2 Oct 1966. Strategic Air Command, 22 May 1968; 19 Air Division, 2 Jul 1968-31 Dec 1971. 19 Air Division, 1 Jul 1977; Fifteenth Air Force, 16 Jun 1988-1 Oct 1992. Tenth Air Force, 1 Apr 1998-. Operational Components. Groups. 340 Operations: 1 Sep 1991-1 Oct 1992. 398 Operations: 1 Jun-1 Oct 1992. Squadrons. 5 Flying Training: 1 Apr 1998-. 9 Bombardment: 2 Jul 1969-31 Dec 1971. 11 Air Refueling: 1 Jul 1977-1 Sep 1991. 34 Air Refueling: 1 Oct 1958-1 Oct 1959. 39 Flying Training: 2 Apr 2001-. 43 Flying Training: 1 Apr 1998-. 70 Flying Training: 1 Sep 2007-. 96 Flying Training: 1 Apr 1998-. 97 Flying Training : 1 Apr 1998-. 100 Flying Training: 1 Apr 1999-12 Sep 2007. 306 Air Refueling: 1 Oct 1984-1 Sep 1991. 340 Air Refueling: 20 Oct 1952-1 Jul 1953 (detached entire period); 18 Jan 1954-15 Oct 1962 (detached 29 Oct-31 Dec 1956, 25 Sep-28 Dec 1957, 5 Jan-9 Apr 1959, and 3 Jan-1 Apr 1961). 486 Bombardment: 20 Aug 1942-7 Nov 1945; 31 Oct 1947-19 Aug 1949; 20 Oct 1952-2 Oct 1966 (not operational, 20 Oct 1952-Feb 1954). 487 Bombardment: 20 Aug 1942-7 Nov 1945; 31 Oct 1947-19 Aug 1949; 20 Oct 1952-1 Sep 1963 (not operational, 20 Oct 1952-Feb 1954). 488 Bombardment: 20 Aug 1942-7 Nov 1945; 31 Oct 1947-19 Aug 1949; 20 Oct 1952-1 Sep 1963 (not operational, 20 Oct 1952-Feb 1954). 489 Bombardment: 20 Aug 1942-7 Nov 1945; 10 Nov 1947-27 Jun 1949; 1 Oct 1958-1 Jan 1962. 910 Air Refueling: 1 Sep 1963-2 Oct 1966. 4007 Combat Crew Training: 2 Jul 1968-31 Dec 1971. 4111 Bombardment: 2 Jul 1968-2 Jul 1969. Stations. Columbia AAB, SC, 20 Aug 1942; Walterboro, SC, 30 Nov 1942-30 Jan 1943; El Kabrit, Egypt, Mar 1943; Medenine, Tunisia, Mar 1943; Sfax, Tunisia, Apr 1943; Hergla, Tunisia, 2 Jun 1943; Comiso, Sicily, c. 2 Aug 1943; Catania, Sicily, 27 Aug 1943; San Pancrazio, Italy, c. 15 Oct 1943; Foggia, Italy, 19 Nov 1943; Pompeii, Italy, c. 2 Jan 1944; Paestum, Italy, 23 Mar 1944; Corsica, c. 14 Apr 1944; Rimini, Italy, c. 2 Apr-27 Jul 1945; Seymour Johnson Field, NC, 9 Aug 1945; Columbia AAB, SC, 2 Oct-7 Nov 1945. Tulsa Muni Aprt, OK, 31 Oct 1947-19 Aug 1949. Sedalia (later, Whiteman) AFB, MO, 20 Oct 1952; Bergstrom AFB, TX, 1 Sep 1963-2 Oct 1966. Carswell AFB, TX, 2 Jul 1968-31 Dec 1971. Altus AFB, OK, 1 Jul 1977-1 Oct 1992. Randolph AFB, TX, 1 Apr 1998-. Aircraft. B-25, 1942-1945. AT-6, 1947-1949; T-11, 1948-1949. YRB-47, 1954-1956; B-47, 1954-1963; KC-97, 1954-1962; KC-135, 1959, 1963-1966; B-52, 1963-1966. T-33, 1969-1970; FB-111, 1969-1971. KC-135, 1977-1992. T-37, 1998-2009; T-38, 1998-; T-1, 1998-. Operations. Trained with B-25s, Sep 1942-Jan 1943. Arrived in Mediterranean theater in Mar 1943, and entered combat the next month, first with the Ninth and then with the Twelfth Air Force. Attached to Desert Air Force, Apr-c. Jun 1943, and Tactical Bomber Force, 3 Jun 1943-1 Mar 1944. Flew mostly close air support and interdiction missions, but sometimes conducted strategic bombing. Targets included airfields, railroads, bridges, road junctions, supply depots, gun emplacements, troop concentrations, marshalling yards, and factories in Tunisia, Sicily, Italy, France, Austria, Bulgaria, Albania, Yugoslavia, and Greece. The group also dropped propaganda leaflets behind enemy lines. Participated in the reduction of Pantelleria and Lampedusa in Jun 1943, the bombing of German evacuation beaches near Messina in Jul, the establishment of the Salerno beachhead in Sep, the drive for Rome during Jan-Jun 1944, the invasion of southern France in Aug, and attacks on the Brenner Pass and other German lines of communication in northern Italy from Sep 1944 to Apr 1945. Earned a Distinguished Unit Citation (DUC) for the period Apr-Aug 1943, when it supported the British Eighth Army in Tunisia and Allied forces in Sicily. Earned a second DUC for the destruction of a cruiser in the heavily defended harbor of La Spezia on 23 Sep 1944 before the enemy could use the ship to block the harbor’s entrance. Returned to the United States, Jul-Aug 1945, and inactivated on 7 Nov 1945. Activated in the Reserve on 31 Oct 1947. Between Oct 1947 and Aug 1949, the group performed medium bombardment training in the Air Force Reserve. In Oct 1952, replaced the 4224 Air Base Squadron at Sedalia (later Whiteman) AFB, MO. Supervised base rehabilitation and construction until May 1954, when it commenced tactical operations. Deployed to Lakenheath RAF Station, England, 13 Sep-3 Nov 1955. Moved without personnel or equipment to Bergstrom AFB, TX, in mid-1963, absorbing the resources and mission of the 4130 Strategic Wing. Continued global strategic bombardment and air refueling operations until inactivated in Oct 1966. Following organization in Jul 1968, conducted initial qualification and refresher training for Strategic Air Command crews, while maintaining its own combat crew force, capable of conducting global medium bombardment operations. From Jul 1977 to Oct 1992, conducted aerial refueling operations for USAF global missions. In 1990, the wing participated in Operation Desert Shield by deploying aircraft and personnel to Saudi Arabia. Inactivated in 1992. After activation in 1998, the group trained veteran pilots as Air Force Reserve instructor pilots to take the place of regular AETC instructors. Campaign Streamers. World War II: Air Combat, EAME Theater; Tunisia; Sicily; Naples-Foggia; Anzio; Rome-Arno; Southern France; North Apennines; Central Europe; Po Valley. Southwest Asia: Defense of Saudi Arabia; Liberation and Defense of Kuwait. Decorations. Distinguished Unit Citations: North Africa and Sicily, [Apr]-17 Aug 1943; Italy, 23 Sep 1944. Air Force Outstanding Unit Awards: 1 Jul 1980-30 Jun 1982; 1 Oct 2001-30 Sep 2003; 1 Oct 2003-30 Sep 2005; 1 Oct 2008-30 Sep 2010. Emblem. Approved on 12 Sep 1955; newest rendition approved on 30 Jun 1998.